Can States Come Up With The Fund Required By Gonski 2.0 Funding? Australia has probably one of the most unusual school funding distribution unlike almost any other country in the world. First, you have three different funding source, Federal, State and private channel. Second we also fairly unique that Australia has one of the highest levels of students educated in private sector. The third is that very significant portion of the funding for private schools is derived from Public sources. Let’s break that down further, State governments in Australia are largely responsible for the majority of the funding for public schools, State governments funding of private schools are minuscule and can be largely discounted. What is more interesting is that most of the Federal government funding model since Howard years particularly looks to be more interested in funding private schools. There are a lot of historical and ideological reason how this came to be, it is not a surprise that the term “Private School With Public Funding” that was circulating everywhere these days. Even with the new recent passed Gonski 2.0 funding, the Federal government will fund public schools to 20 percent of their SRS which is short for Schooling Resource Standard entitlement and 80 percent of private school SRS entitlement. This is an interesting point to think of. Also, the funding model requires the States to fund up to 75 percent of the SRS requirement, originally 80 percent before it was reduced during the passage of the bill. This will require most of the States to come up a fair number of additional funding or otherwise endanger their portion of Federal funding. I personally this is terrible, traditionally States are responsible for Education and this should be better consulted and worked with all States to achieve a more suitable and agreeable outcome. While I think there are positive aspects of the bill, there are also some core issues yet to be resolved and improved upon. Author adminPosted on 2017-06-25 Categories General EducationLeave a comment on Can States Come Up With The Fund Required By Gonski 2.0 Funding? More details on how the new school funding will work taken from the news.com.au article Here’s how Gonski 2.0 works for schools. In general, I think this is good particularly with the establishment of an independent National School Resourcing Board, this is an important thing to do to have a long-term continuing neutral approach to school funding. * Still calculates schools funding with a base per-student amount (known as SRS) plus loadings to compensate for poorer, disabled, non-English speaking and indigenous students and schools that are small or remote. * The per student base amount in 2018 will be $10,576 for primary students and $13,290 for secondary school students. * Those amounts will be indexed at 3.56 per cent a year through to 2020, and move to a floating indexation based on inflation and wage increases from 2021 (with a minimum increase each year of 3 percent). * Government funding to private schools takes into account a measure of parental capacity to pay. How that’s calculated will be reviewed and may change in 2019. In the meantime, $46 million in transition funds will be available to Catholic and independent schools in 2018. * The Commonwealth share of funding will move to 20 per cent of SRS for public schools and 80 percent for private schools – more than its average share now and in line with historical arrangements. * Schools below the SRS will move up over six years and schools above SRS will move down over 10 years. * State and territory governments are expected to make up the rest (ie 80 percent for public schools and 20 percent for private). Late changes to the legislation lock in regular increases to make sure states reach these required amounts over the next six years or at the very least don’t cut funding. * An independent National School Resourcing Board will be established to keep an eye on how the states and other school authorities distribute funds to schools and review funding levels and other matters, including how parental capacity to pay is calculated. This board will cost $7.2 million over four years. * Businessman David Gonski, who led the 2011 review of school funding, has agreed to head a new review of the most effective ways to spend money to improve student achievement. I am looking forward to the review of the new Schooling Resource Standard (SRS) funding model and get more detail on how this works. The original article Gonski 2.0 victory: Government secures numbers to pass new funding model into law is on the SMH, you can follow the link the get the full detail if you want. Overall there is relatively change happened to the original proposal and real life politics means often compromises has to be made, so having some like delay to the cut to the funding to the Catholic sector is not unexpected. I am a supporter and proponent of public education and I agree the changes are due in how the schools are funded, a more uniform and properly carried funding would benefit Australian children in years to come. I am not privy to the exact details, just looking at what is in the news it is a big step towards the right direction which is why I guess LNP managed to secure the support of almost every single one of the crossbench senators to get this to pass. This is in sharp contrast to many of other vindictive policies of recent LNP ideologically driven policies, this is one is a sharp improvement is done right. There are some lingering questions in my mind such as equality of the funding, such as that some top private schools can charge 20k to 30k per student already and still receive significant government funding. This also projected to grow by a large percentage of some schools which do not really make a lot of sense to me, would not the money be better off spending on schools that need it more and building new ones to better cope with the growing populations. The key I guess is the following which if done right can set the Australian education funding on the right path for the decades to come. The government agreed to major concessions to win support for its package, including moving schools to their target funding levels within six years instead of a decade. The speedier timeline adds $4.9 billion to the $18.6 billion in extra spending over a decade the government had already announced. It is estimated that $3.3 billion of the new spending secured by the crossbench will flow to public schools. The government will also introduce new rules forcing state governments to increase their school spending and will create an independent schools resourcing body as recommended by the Gonski report. It has also agreed to one-year transition arrangements, costing $50 million, for the Catholic sector and other independent school systems and a review of the socio-economic status formula underlying the funding model. From the above points, the most important is actually establishment of an independent school resourcing body and review of the socio-economic status formula underlying the funding model. Please please do it and get it right. Does People Live In The Apartments Have Kids? Just came across this article Assumption that ‘people in units don’t have children’ has led to chronic schools shortage in NSW on news.com.au. There are some known and well interesting tidbits coming out of it. The government has previously said that by 2031 an additional 164,000 public school places will need to be created in order to meet growing demand. This extra money, which will be handed down during Tuesday night’s state budget, will only fund an extra 32,000 places. “What I meant by that, is there was an assumption by demographers historically that people who live in units don’t have children, and as a result there was an insufficient planning,” Mr Stokes said. “So a lot of that investment is going to be required in inner, middle ring suburbs of Sydney that 10 or 20 years were thought to be very well served, like Penthurst, places around Ryde … areas that we have to retrofit new schools and we have to be innovative about that because we don’t have the land resources in those locations that we have in other areas,” he said. I have done some previous discussion on this issue. Guess what why the inner cities got no space for new schools, it is because of the successive State government’s failure to plan for the future and sold off a large number of inner city school sites. Those sites will not be able to satisfy the projected demand but will go hell lot long way towards that goal. In the recent years’ Australian politics at both State and Federal level progressively become more and more short term thinking, anything not happening outside next few years just gets ignored and simply pass the buck to the future governments. Author adminPosted on 2017-06-20 Categories General EducationLeave a comment on Does People Live In The Apartments Have Kids? I found both sets of original data from NSW Department of Education website and meshed them together myself for year 12 completion rate from 2002 to 2015. They are as following, after stalling in high 60th for until 2010, by 2015 NSW has hit high of 72 percent year 12 completion rate. One must wonder what prompted 5 percent higher completion rate in just a handful of years in NSW. One reason I guess would be the difficulties of securing a job for the young people and prompted more people staying at school for longer these days. This looks like coincide with the start of GFC in 2008 and end with a spike in completion rate in 2010. Also the requirement of higher language and technical skills for the jobs these days must also be of a factor but that I think this factor must be a gradual process not as dramatic as this. 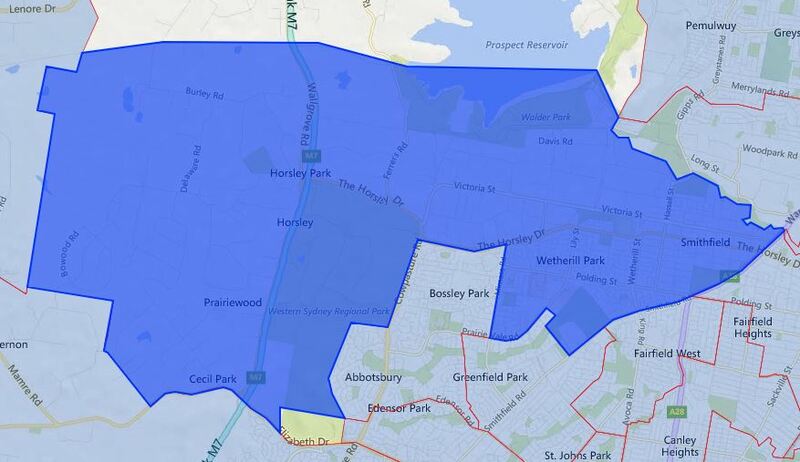 This is the school catchment map for Cecil Hills High School in Sydney, NSW. The full map which you will need to zoom down or use the search function to find the school you want to look at. The most common name used by NSW Department of Education is called “catchment” which refer to that students resides in particular area are guaranteed a position in specific schools. When discussed from the perspective of a particular school is often referred as one of the following terms. As the usual contact, the school in question or Department of Education for the final confirmation and you can also access the full High School Catchment Map by following this link. Who Actually Read Gonski Report Before? Since the recent back and forth discussion on so call Gonski 1.0, 2.0 funding. I wondering how of us actually read the actual original Gonski report. I download the actual report which is called Review of Funding for Schooling which is published at December 2011, the report including the appendix and reference is 319 page long. With the amount of material in it, it is a good length book practically. I will try to spend next few days to chomp through this and get a better understanding of what exactly is going on with the original report. Author adminPosted on 2017-06-04 Categories General EducationLeave a comment on Who Actually Read Gonski Report Before? The Australian Education funding system is unnecessarily complex I think, following is an Article on ABC Here’s how Australia’s schools are funded which has a breakdown of where a school of Public, Catholic and Private Sector derive their funding from and how much as well. The majority of funding for Australian schools — in fact, about three-quarters of it — comes from the state and territory governments. Most of the money in the pot goes to public schools — but the proportion going to private schools has climbed in recent years. Three in every five dollars of Commonwealth funding goes to private schools. Nearly all state and territory funding go to public schools. The Catholic school system educates about 20 per cent of children at all levels and other private schools have 14 percent of students, with the rest in public schools. Seventy percent of primary school students go to public schools, but the number of secondary students in public schools has now fallen below 60 per cent. That means that overall, more than one-third of Australian students are in private schools. In 2013 totalling up the Federal, State and Private source each public school student get $11,548, each Catholic student gets $11,204 and each private school student gets average $16,235. The amount of different sector derives their funding is vastly different. There is also some good information how and why historically this funding system coming into being and persist to this day. So it is definitely worth a read. I will try to see if I can more information how the SES model is constructed and this should give more insight on the fairness of the funding model. There had been many articles and discussion on this topic, I have been trying to follow it closely. Following is the one article I read today and if SES funding model is largely determined by the socio-economic status (or SES) of the area code of its students as what stated. Then I agree with the author the new funding model is an unfair one. The article I am referencing from is Gonski 2.0 still leaves Australia’s school education with a class divide on SMH. Some very wealthy high-fee schools will are going to do fairly well under the new system, and in the way which the Catholic system is allowed to distribute its government funds how it sees fit and will give more to its elite schools and less to its poor schools. One problem is that the “needs” of schools under Gonski are largely determined by the socio-economic status (or SES) of the area code of its students. Moreover, in determining “needs”, the funding formula does not consider the capacity or willingness of parents to pay fees. The result is that an elite school with many students from low and middle SES suburbs will get higher funding, even though the students from those suburbs come from very well-off families with a high capacity and willingness to pay fees. By and large, elite schools draw students from families with high capacity and willingness to pay fees, and they draw them from low to middle SES suburbs as well as high SES suburbs. Indeed, you could imagine elite schools scooping up all the children of the wealthy and educationally keen in middle and poor SES suburbs. So they get credit for educating many students from low SES suburbs even though those children are from high SES families. Last and not the least, I largely agree with the Author’s conclusion. The overarching Gonski principle of needs-based funding is a good one, but the detail of how to assess needs is more difficult. That said, there is every reason to believe people closer to the action can do a better job. Just give them the money. The feds are good and efficient at raising money, but not so good at the on-the-ground spending of it. Just let your guys know I am still progressing with my aim of mapping school zone for all Australian schools, well maybe just most. I have already picked what you call the low hanging fruit and now working o1n the harder ones, so updates will come but likely at a slower pace than before. I am slogging through it, however when this set is done it should be great to see them on the map.